A survey released Wednesday shows that six in ten South Koreans approve of expelling lawmakers who made disparaging remarks about the 1980 Gwangju Democratization Movement. On Tuesday, Pollster Realmeter surveyed 501 adults nationwide and found that 64-point-three percent of respondents are in favor of expelling the lawmakers, while 28-point-one percent are opposed. 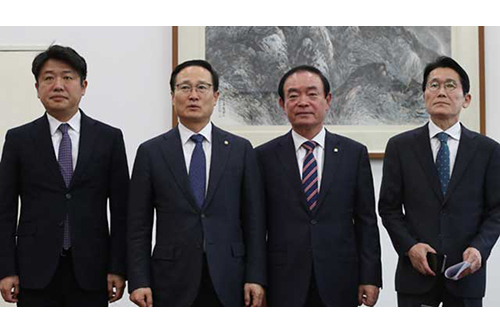 Three legislators from the Liberty Korea Party made controversial remarks about the pro-democracy movement during a public hearing at the National Assembly on Friday. The ruling and minor opposition parties filed a petition with the parliamentary ethics committee on Tuesday, seeking to expel the legislators. The survey, which was commissioned by online news outlet Oh My news, had a confidence level of 95 percent with a plus or minus four-point-four percent margin of error.